Two hours before polls closed in Georgia, U.S. Agriculture Secretary and former Georgia Gov. 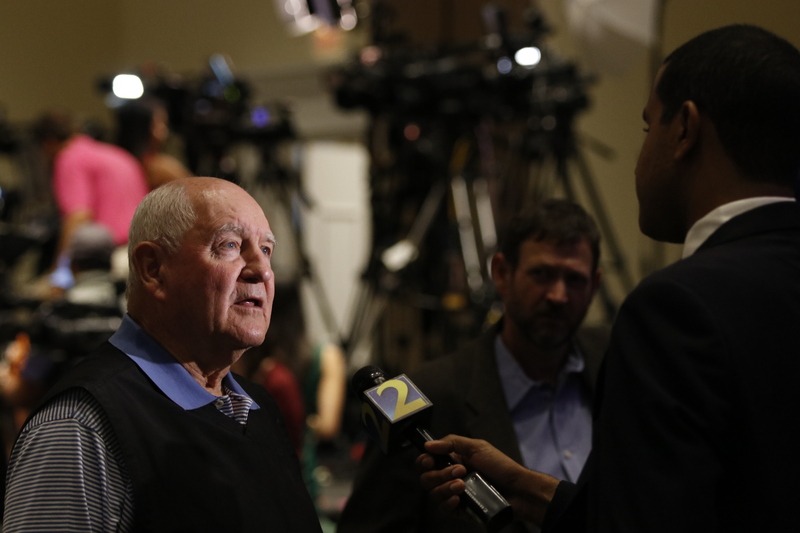 Sonny Perdue predicted an Election Day win for Georgia Secretary of State and Republican gubernatorial candidate Brian Kemp. Perdue and other Georgia Republican Party leaders such as Sen. David Perdue spent time talking to media members in the ballroom of The Classic Center in Athens, where the Kemp Campaign and the Georgia Republican Party are set to hold an election night watch party at 8 p.m., one hour after polls officially close in Georgia. Kemp and other party members are set to speak throughout the night as election results come in. By the end of the night, Perdue expects a celebration in the Classic Center. A Democrat hasn’t held the highest office in Georgia since Perdue ousted Roy Barnes from the position in 2002. Perdue said he believes this year’s Georgia electorate to be mostly unchanged, thanks to a what he describes as a low unemployment rate and growing wages that he says have kept Georgian’s happy with Republican leadership. Perdue said he believes Kemp will continue the same policies that he believes have made Georgia’s economy successful. Additionally, Perdue believes that a stark contrast between Kemp and Abrams will keep Republicans in the driver’s seat in Georgia.